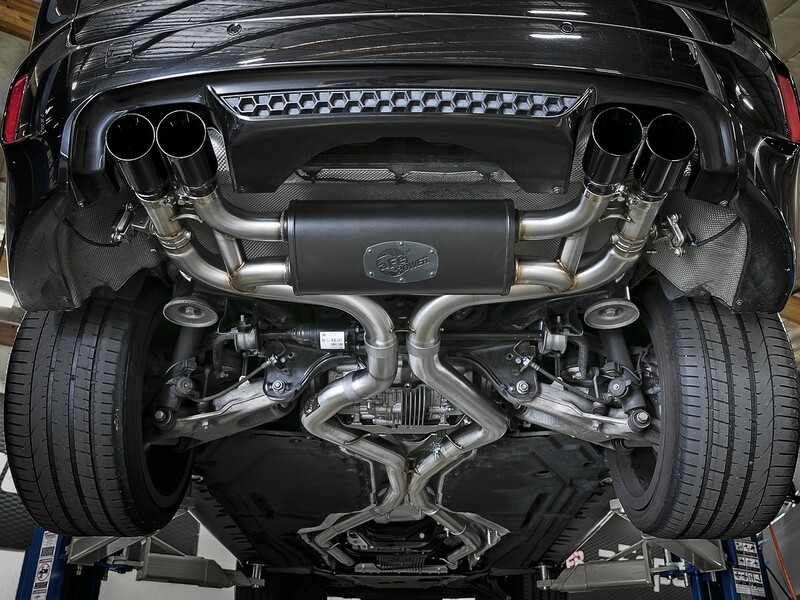 Add power, sound and unique style to your BMW X5/X6 M with this cat-back system which produced gains of up to +20 horsepower and +33 lbs. 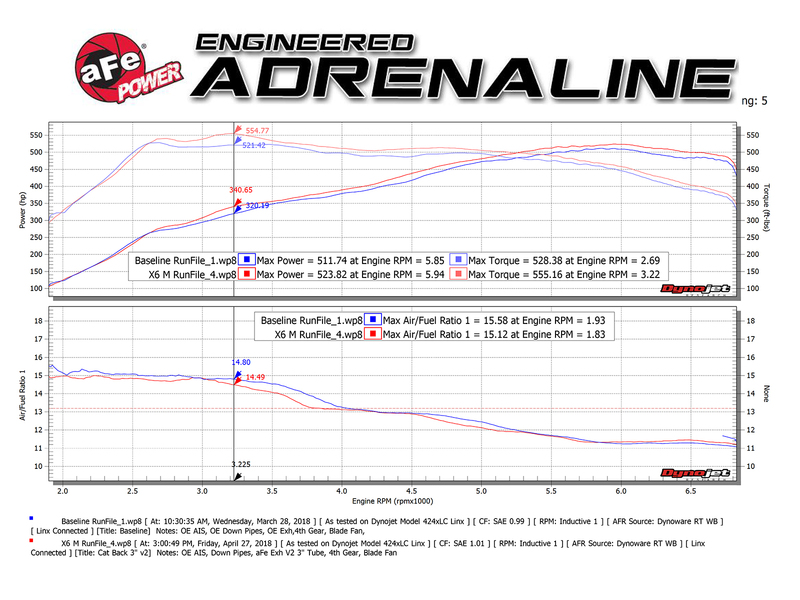 x ft. torque as measured on our in-house dyno. 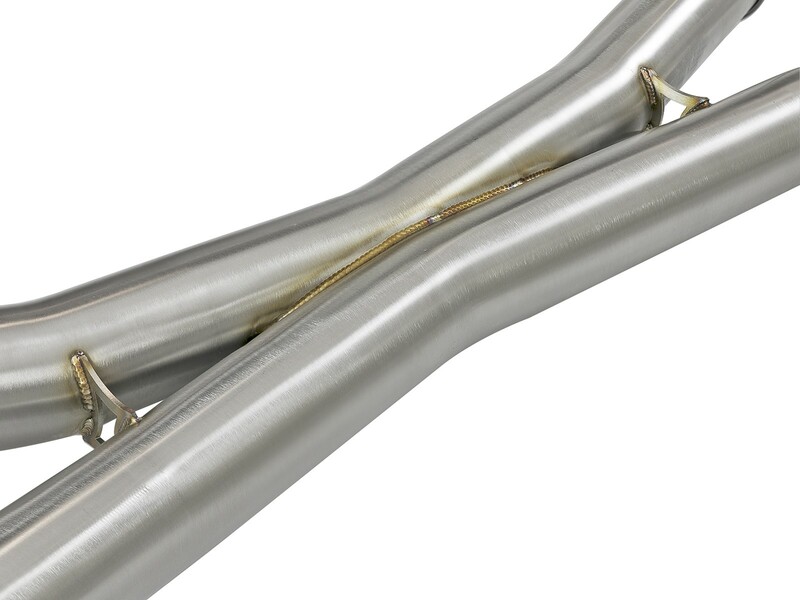 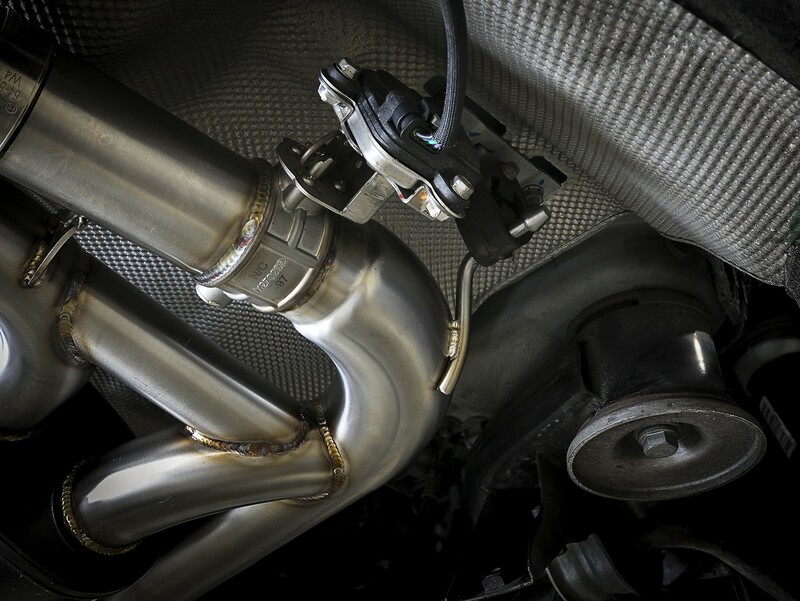 Dual 3" to 2-1/2" mandrel-bent, brush finished 304 stainless steel tubing keeps exhaust flowing smoothly for power gains you can feel. 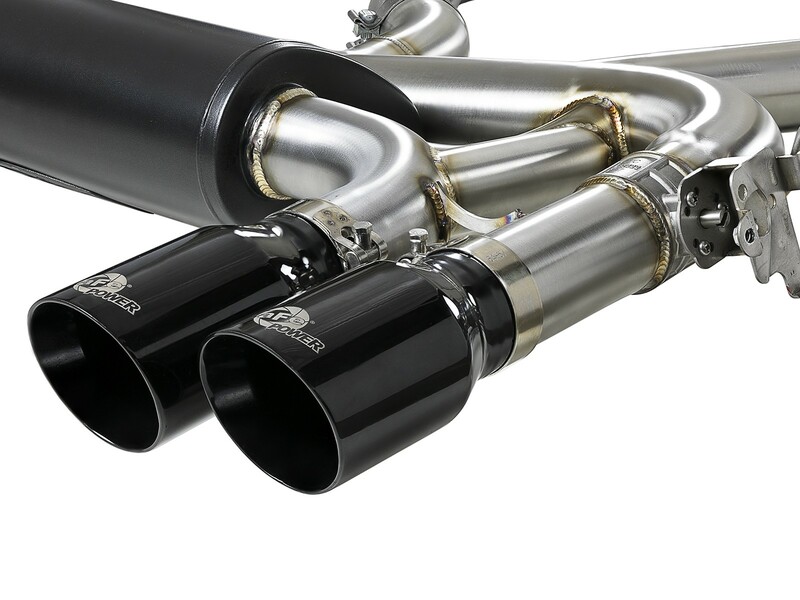 Designed with a transverse, high flow muffler finished in high temp powder coating for long lasting good looks and unique sound. 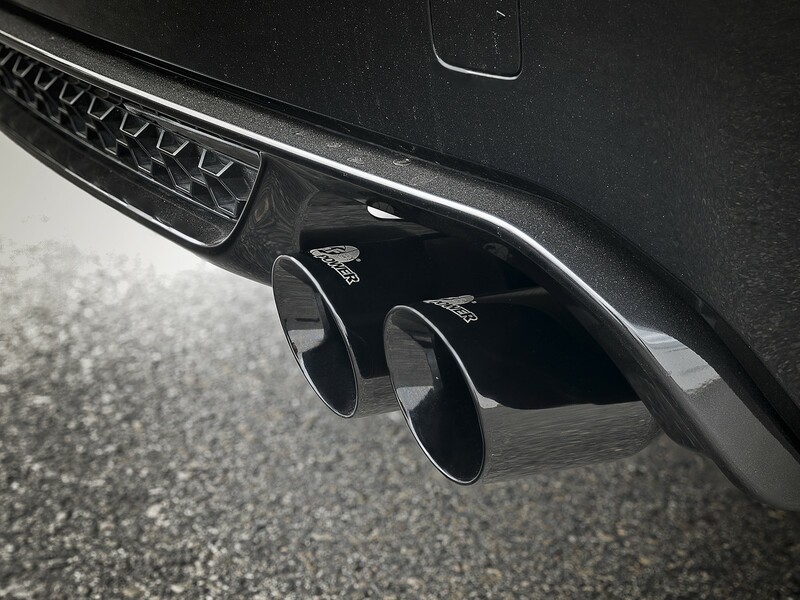 The factory exhaust valve motor is used to regulate the exhaust flow from a closed-valve, sporty tone to wide-open, aggressive, performance sound. 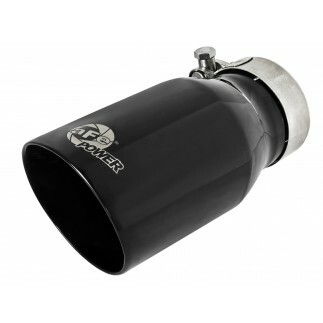 True quad, 3 1/2" black stainless steel exhaust tips with laser etched aFe Power logo for a custom finish. 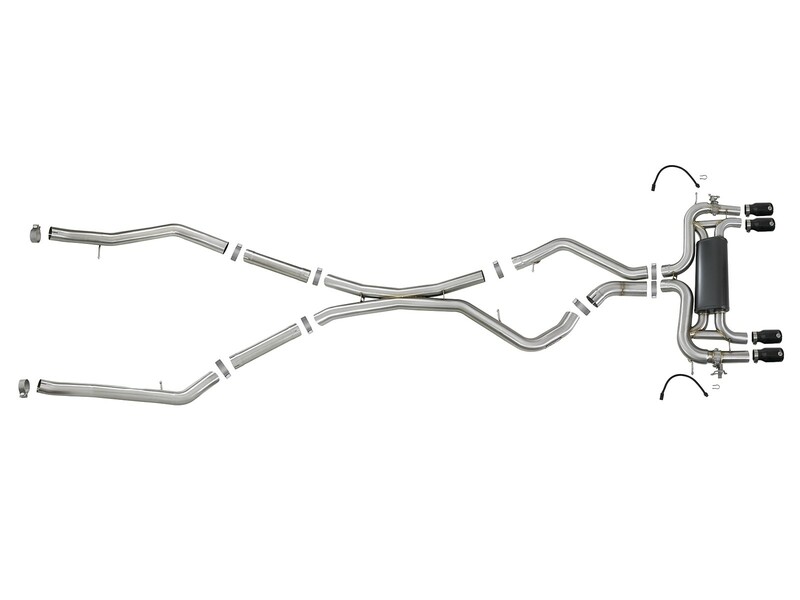 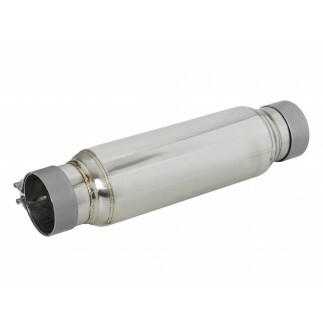 Transverse high flow muffler supports true quad pipe exhaust flow and unique exhaust notes. 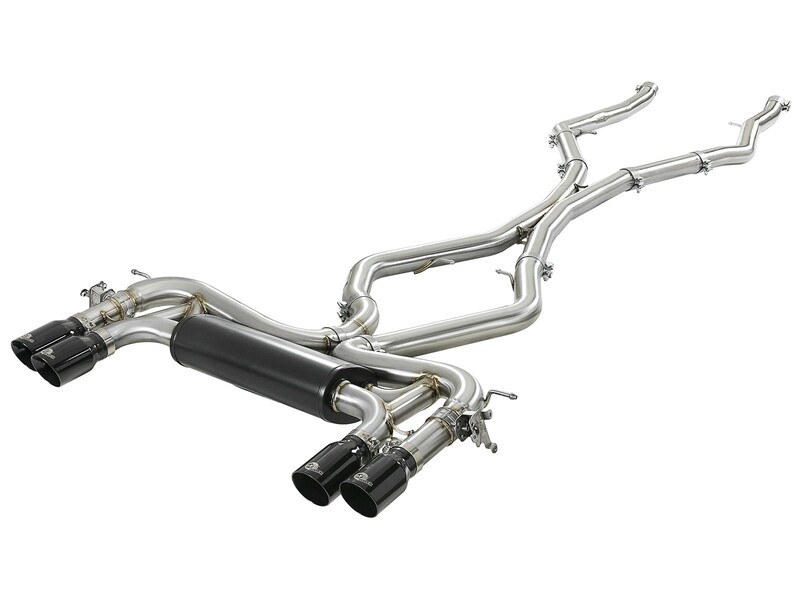 Finished in a high temperature metallic black powder coating that helps prevent corrosion.